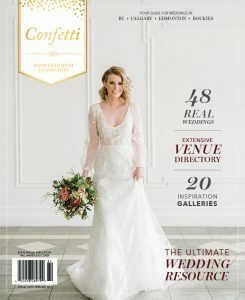 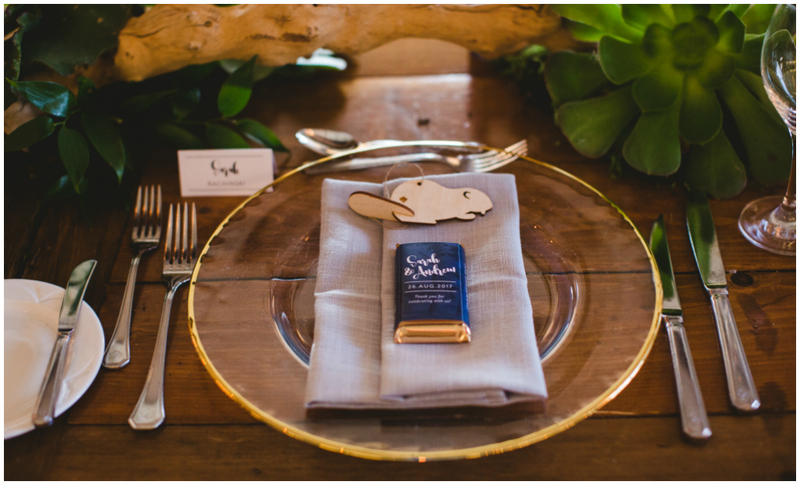 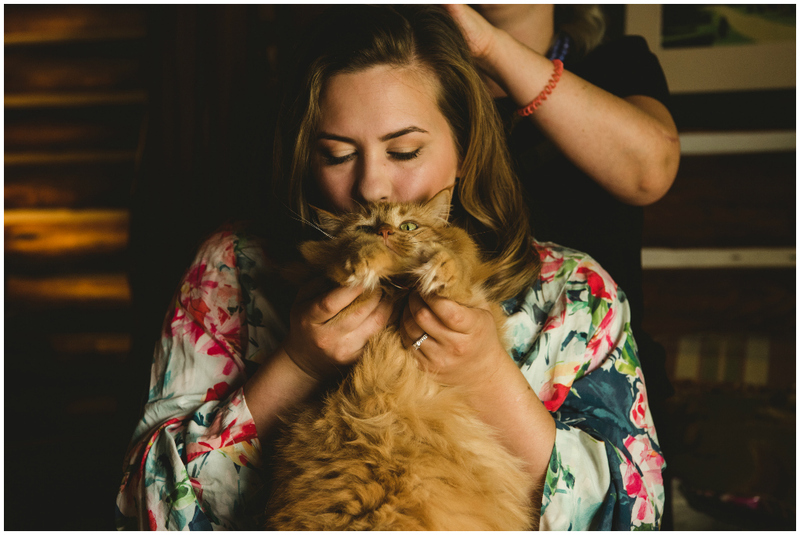 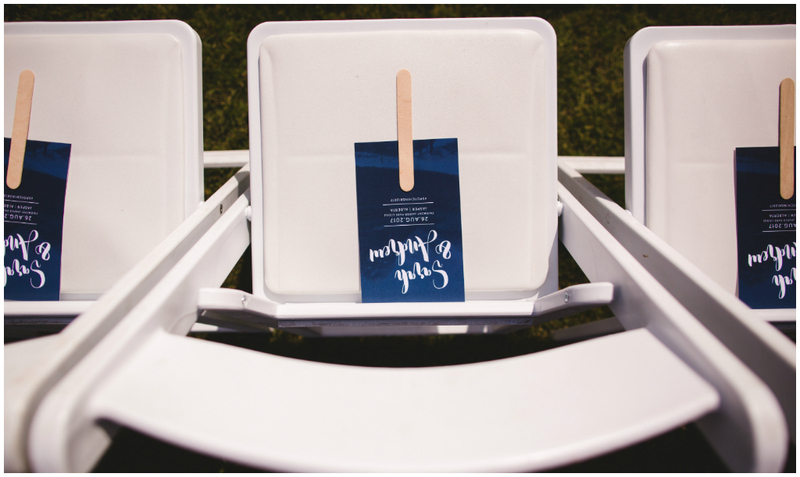 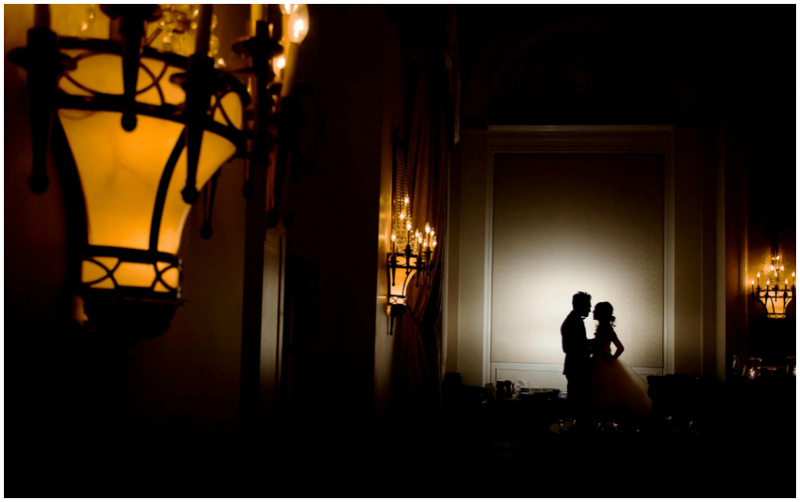 One of the greatest privileges of our job as wedding planners is being invited to experience love on so many levels. 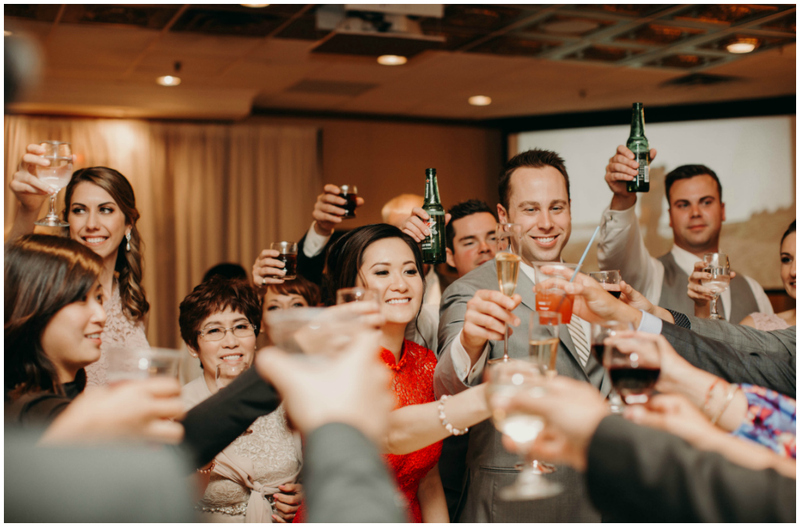 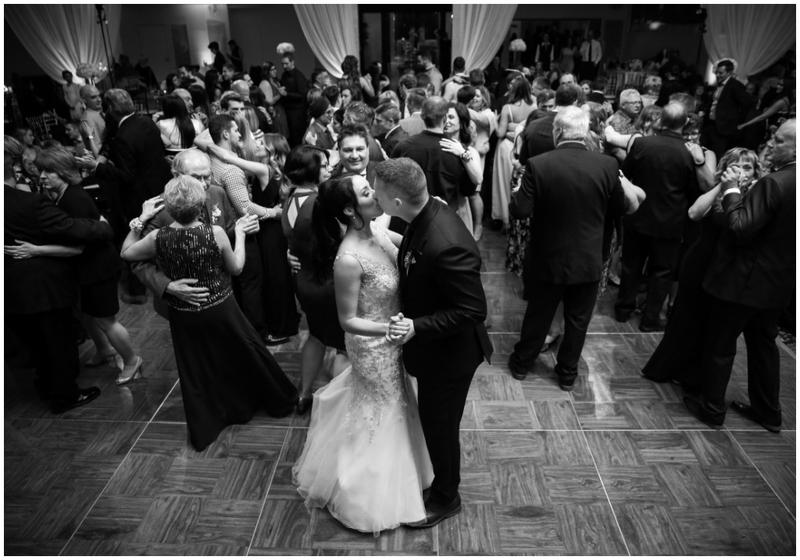 The love a couple has for one another is the obvious one, but we bear witness to the incredible love parents have for their children, adoring grandparents beaming with pride, and the special bonds of childhood friends. 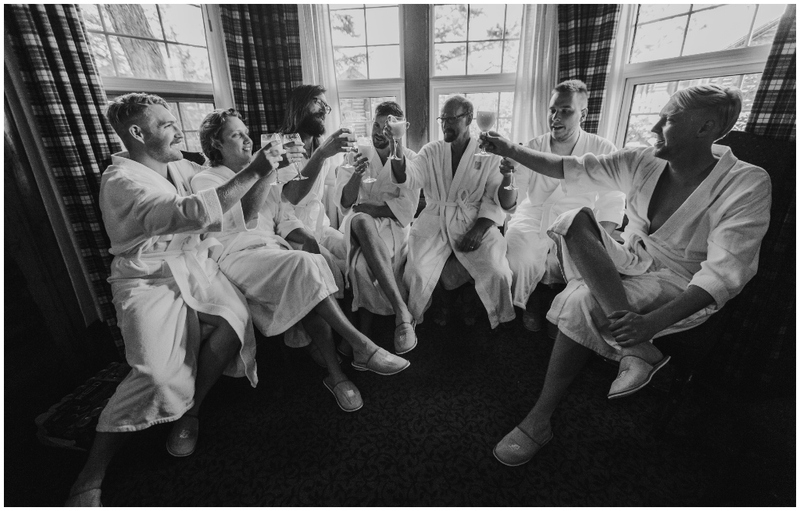 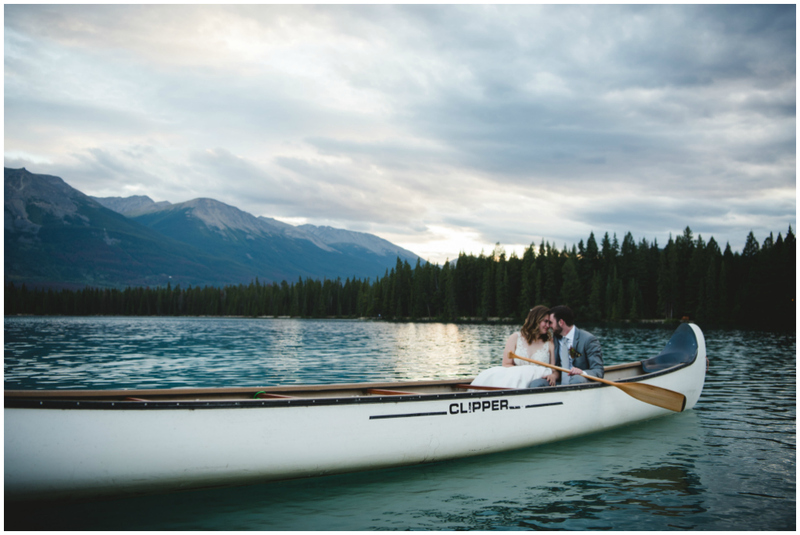 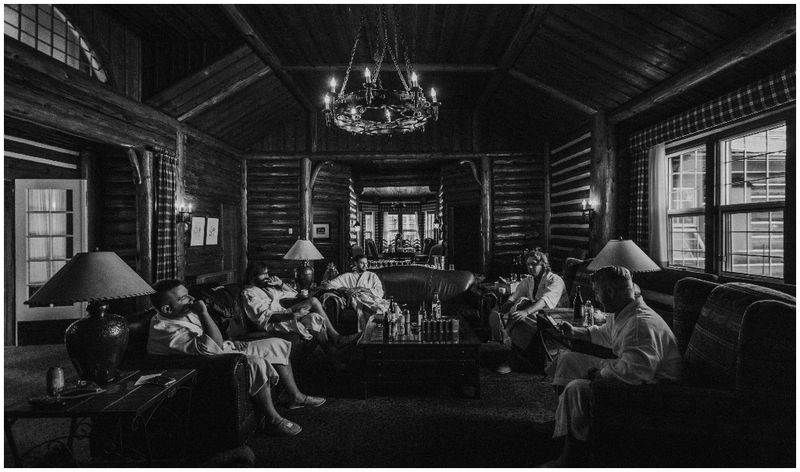 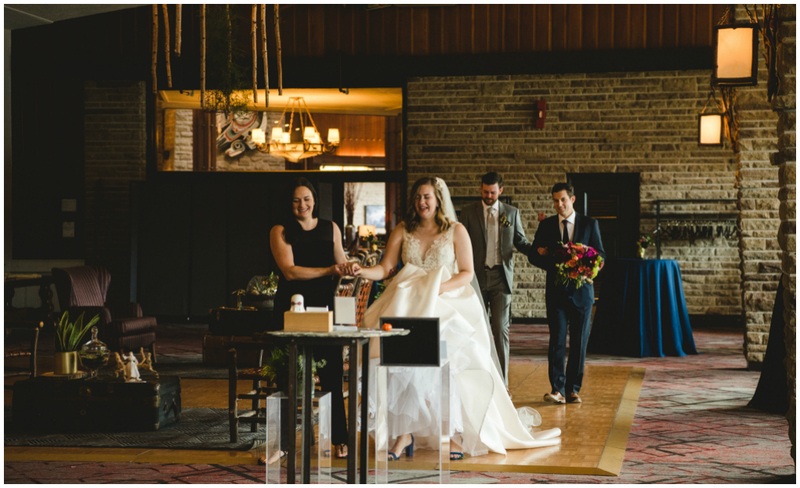 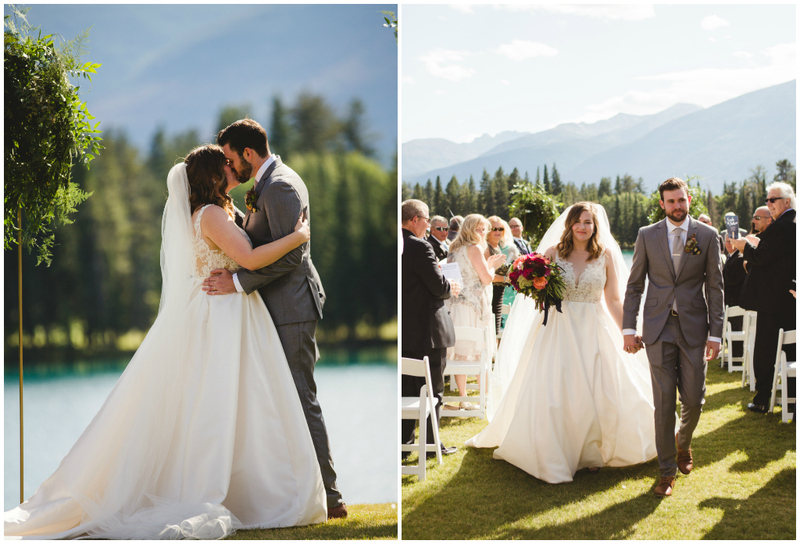 Love radiated throughout Sarah and Andrew’s wedding weekend at The Fairmont Jasper Park Lodge, and that’s a testament to their relaxed personalities and warm, welcoming natures. 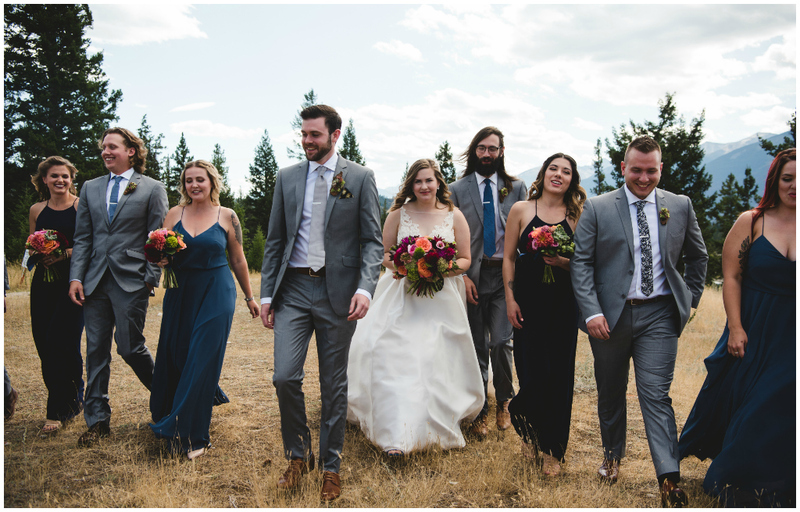 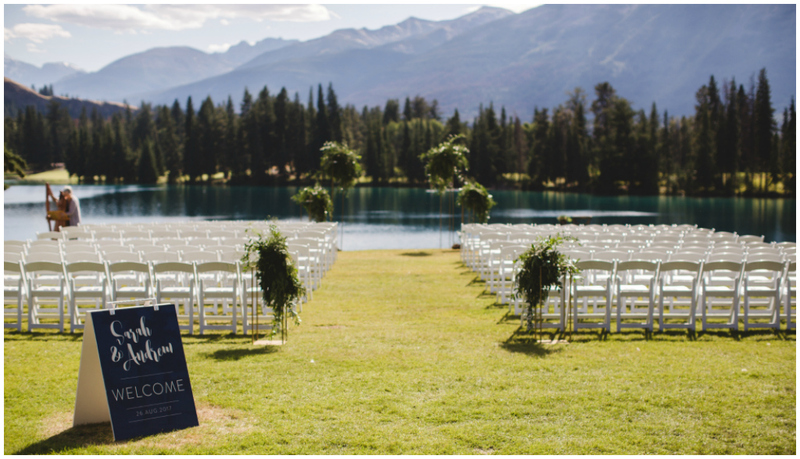 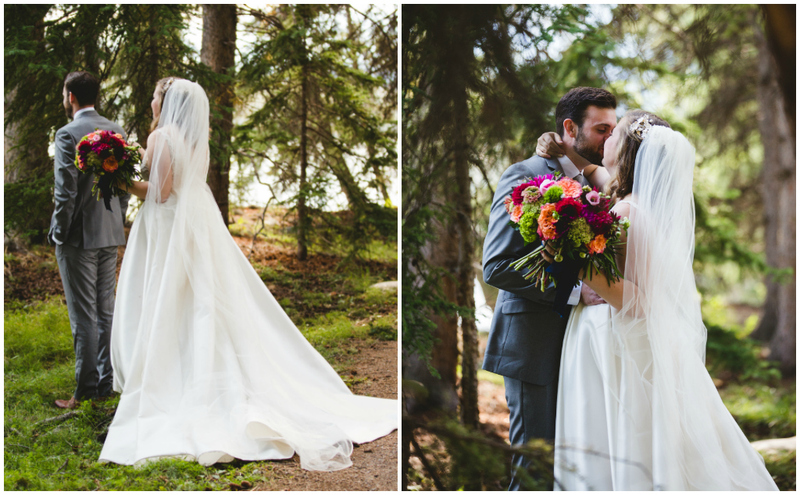 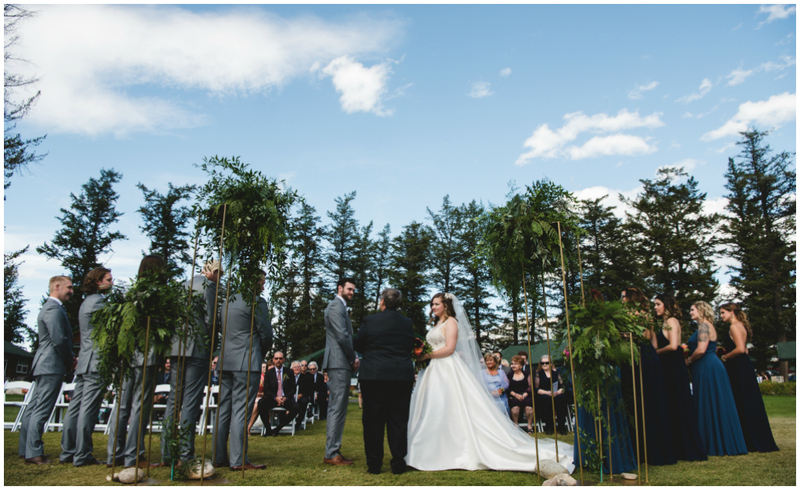 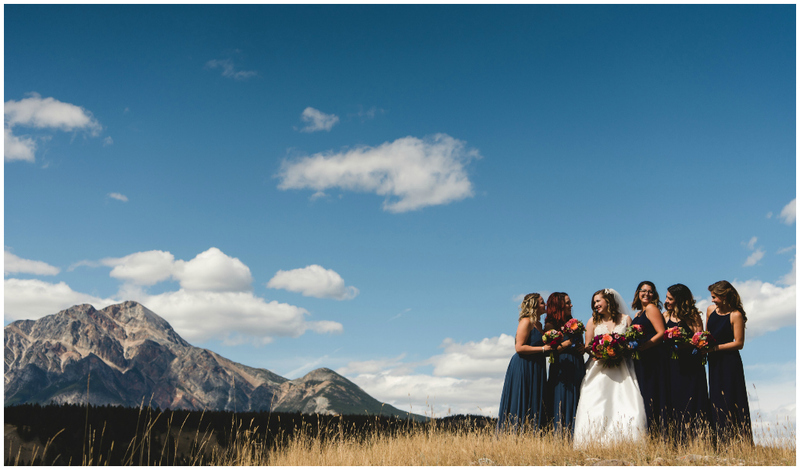 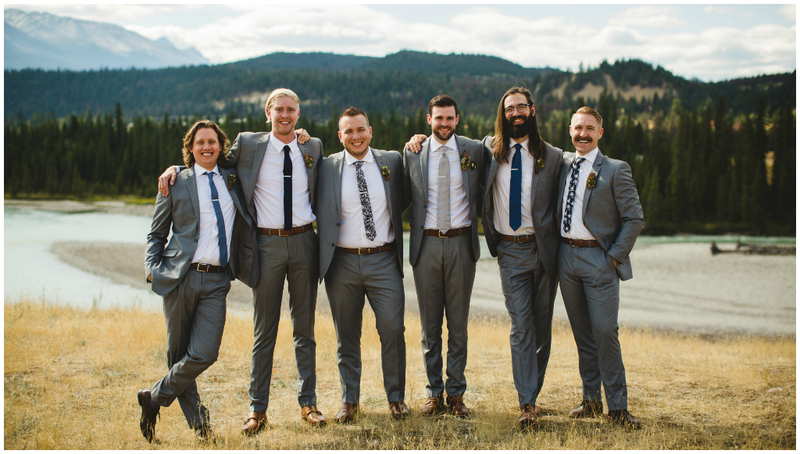 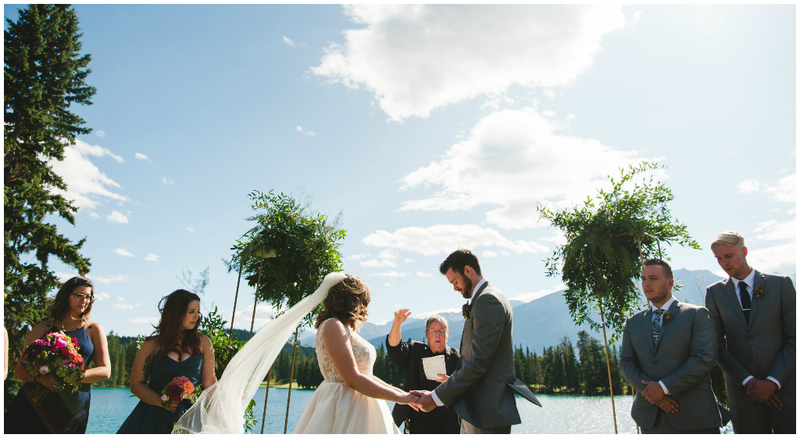 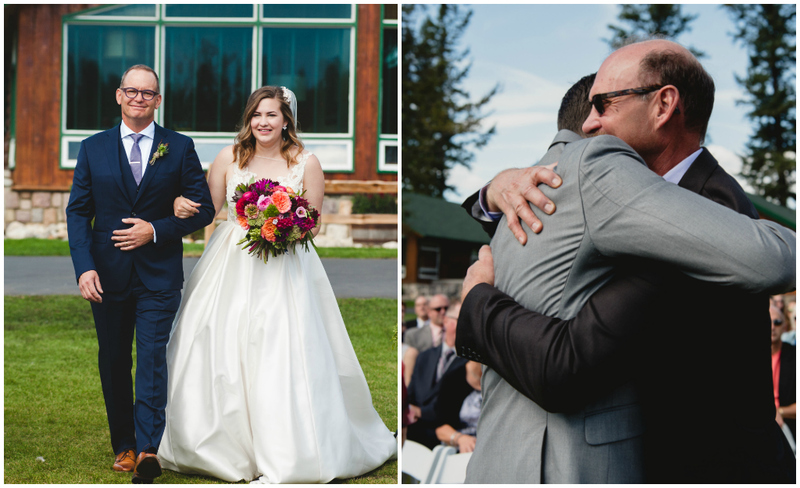 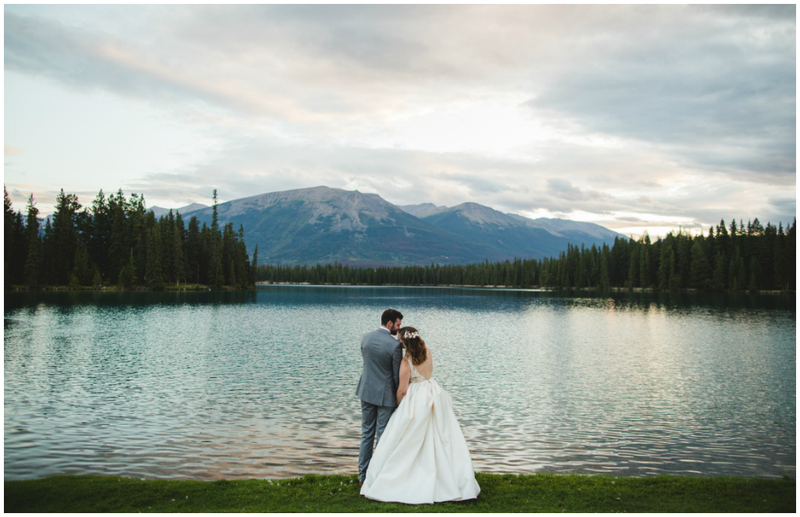 The weather also showed this couple some love by cooperating to give them a beautiful outdoor ceremony on Whistlers Plateau. 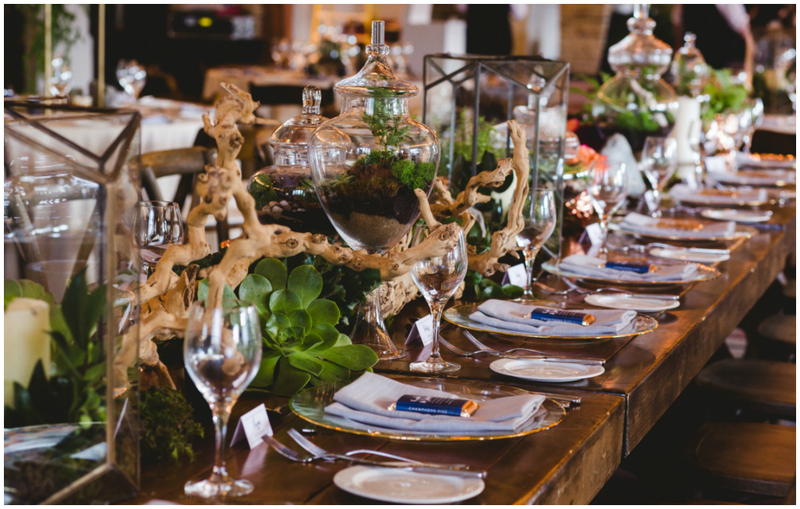 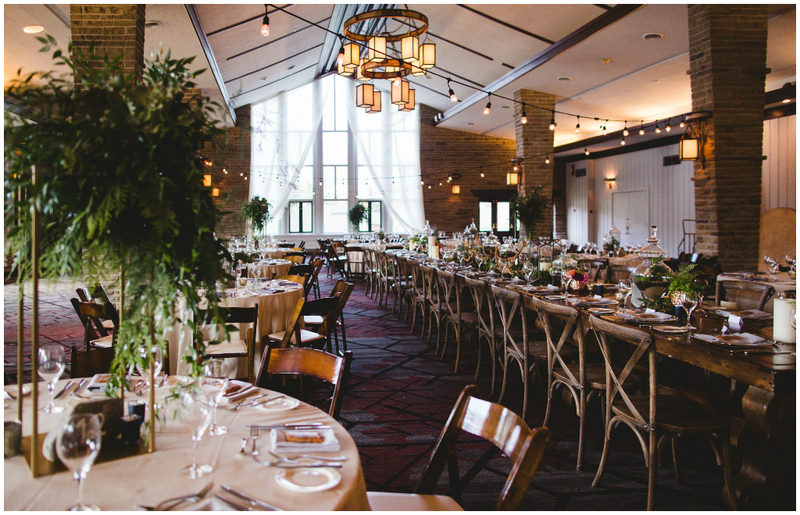 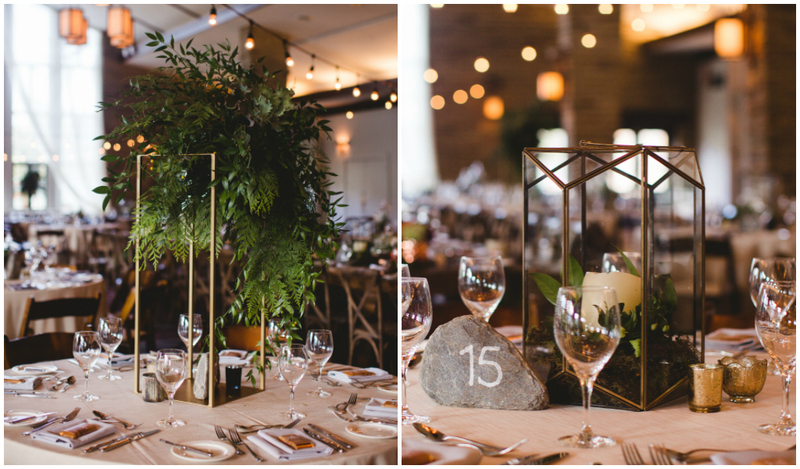 Cory Christopher brought the outdoors inside the Beauvert Room with lush florals and organic elements. 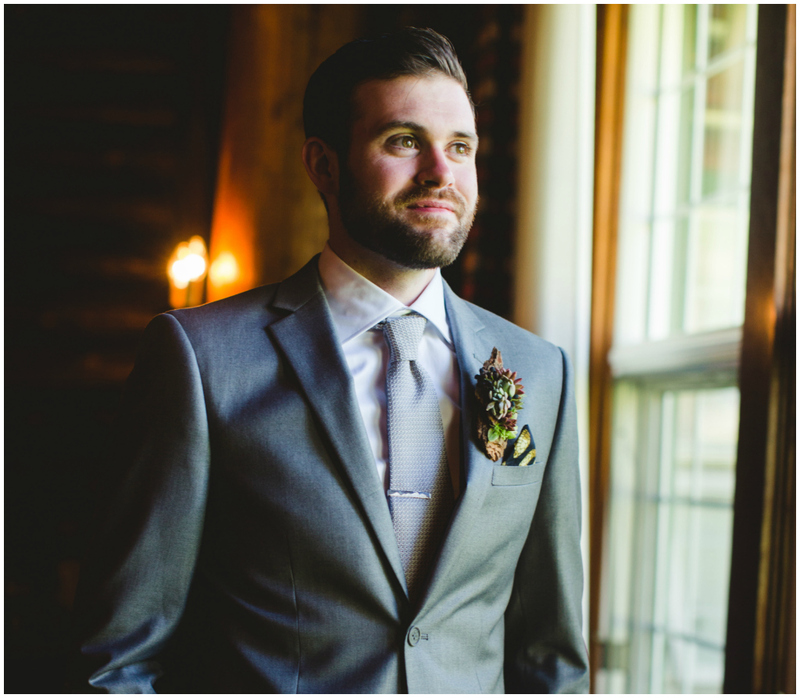 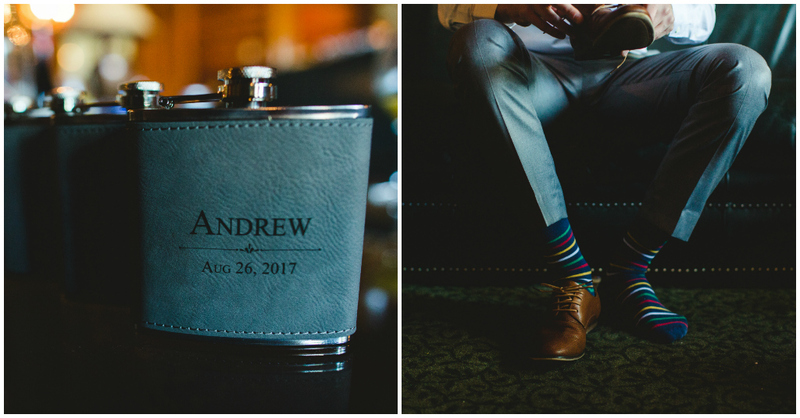 He also expertly wove in personal touches that reflected Sarah and Andrew as individuals and as a couple. 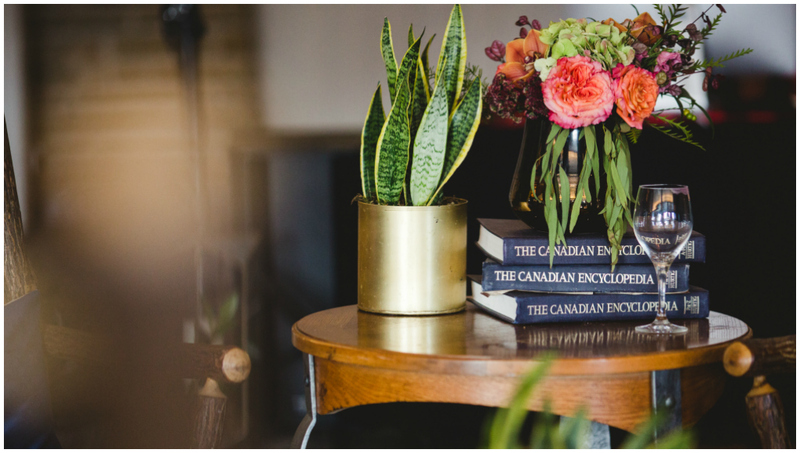 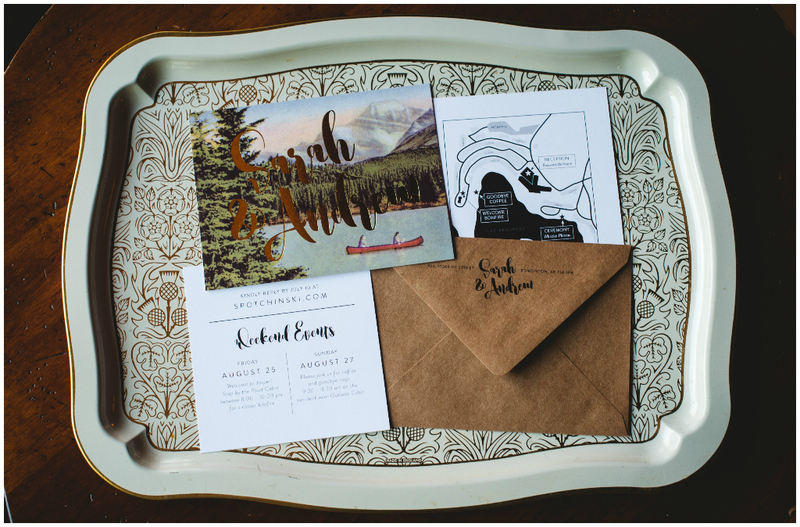 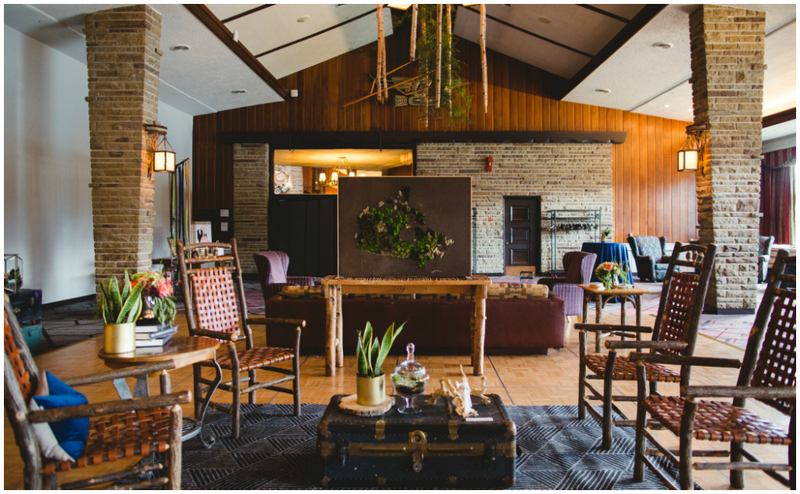 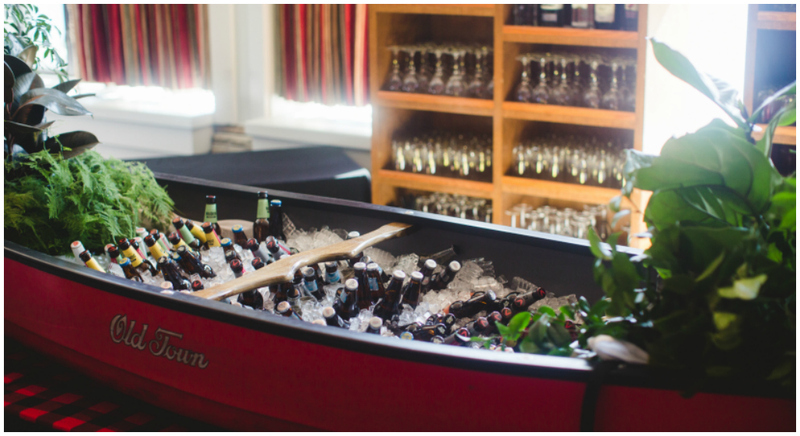 Moss “mountains” showed guests where to take their seats, pillars displayed childhood objects and photos like an exhibit – a nod to Sarah’s professional career as a curator – a canoe adorned with ferns and greenery held ice cold beer at the bar! 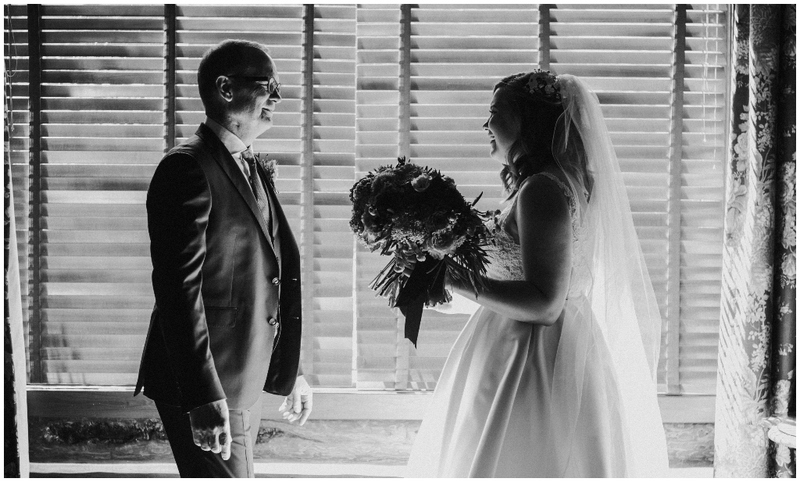 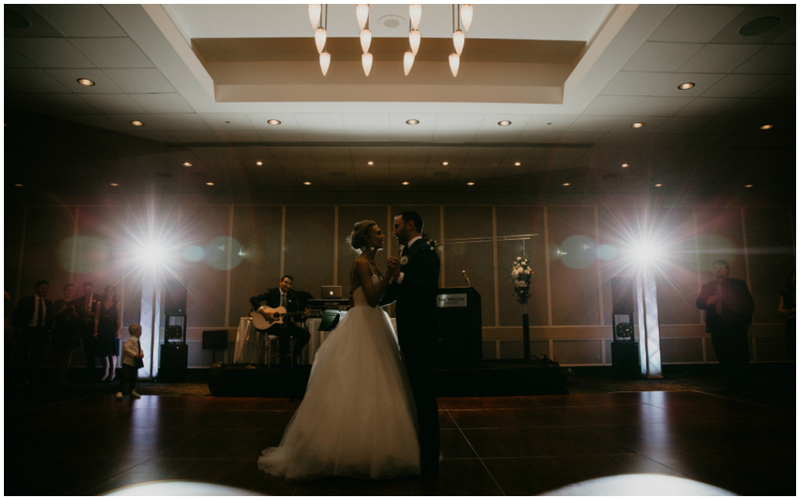 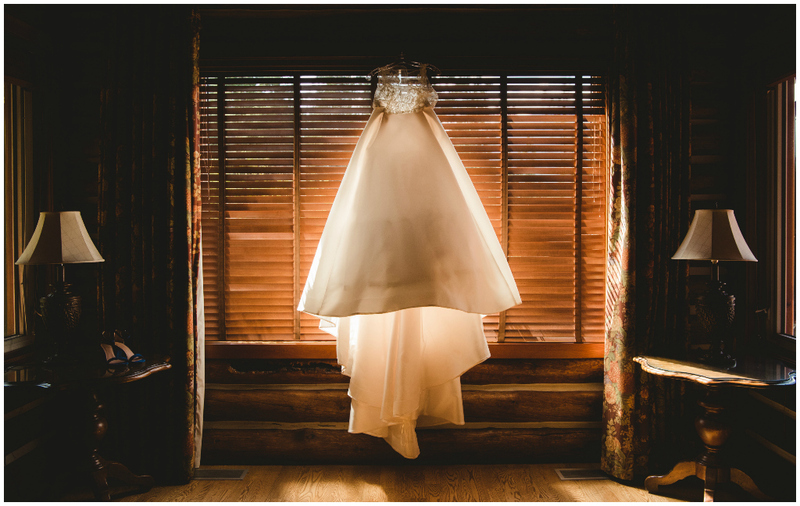 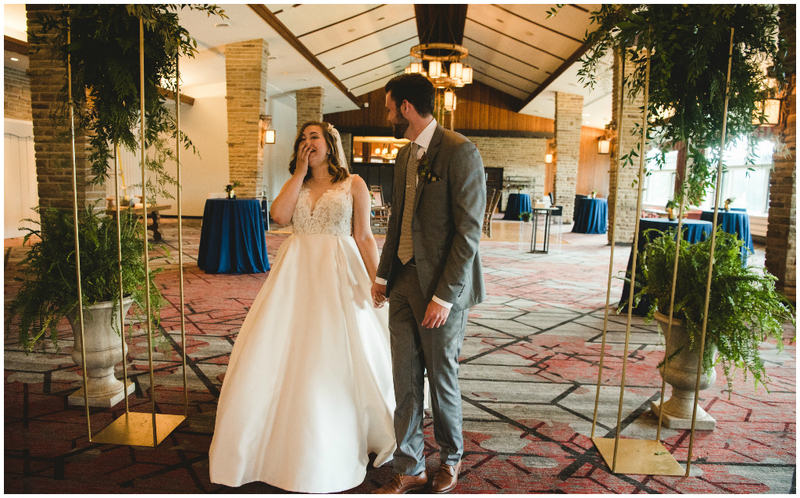 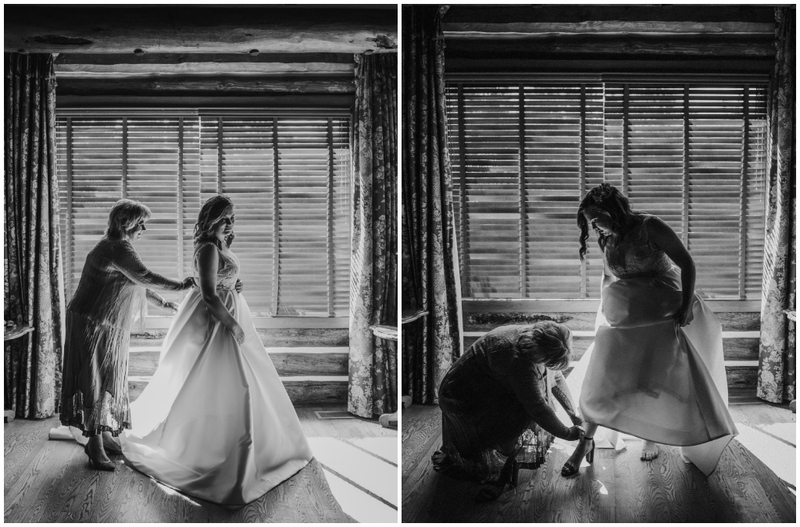 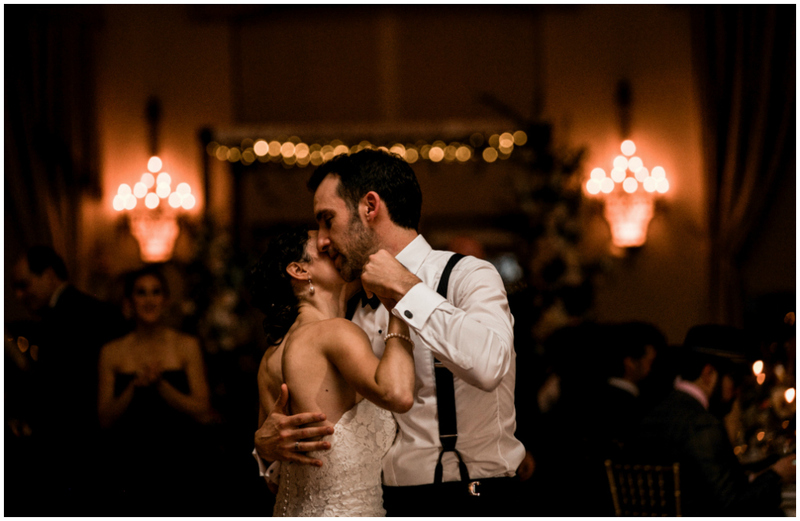 Blake Loates captured this day so beautifully! 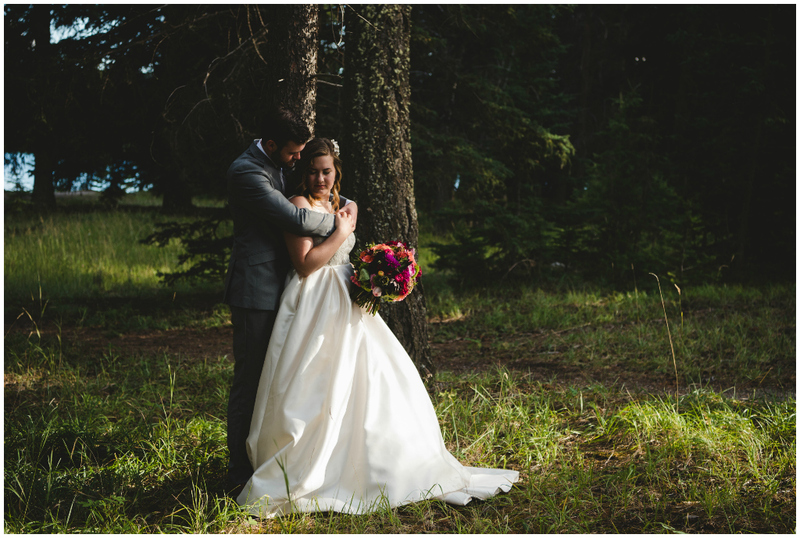 Her images are featured in the Fall/Winter 2018 issue of Confetti Magazine, and you can enjoy a magical Super 8mm highlight film by Arrow Films here: Sarah + Andrew Wedding Film.